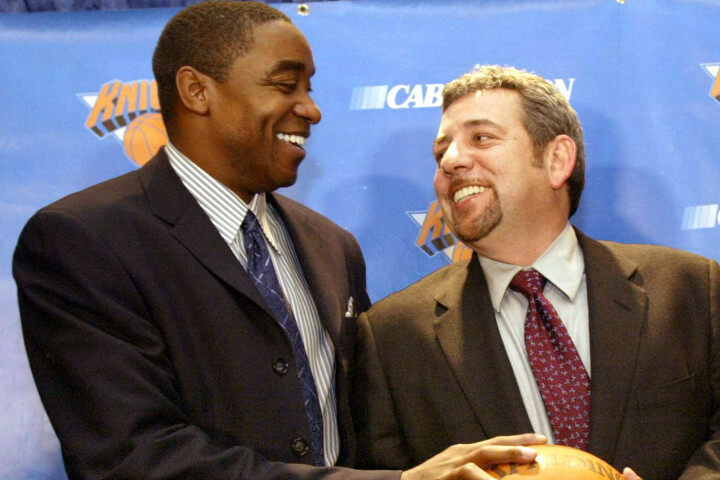 HBO’s Real Sports with Bryant Gumbel featured an interview this week with Knick owner James Dolan and former antichrist Isiah Thomas. I wrote a real-time recap of the event, an interview which will seem familiar to anyone who’s listened to audio recordings of the Jonestown suicide (I have; highly recommend!). Be warned: these two men inspire fear and loathing beyond most carbon-based beings’ capacity. It already led one long-time P&T reader to comment that I should “shut up.” Make sure you’re seated and not near any flammable material. Read at your own peril. This entry was tagged bryant gumbel, hbo, isiah thomas, James Dolan, jonestown, NBA, New York Knicks, posting and toasting, real sports. Bookmark the permalink.